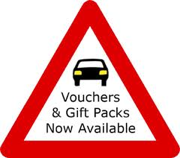 Built on a reputation for providing professional, relaxed and enjoyable driving lessons. All lessons are conducted in a new BMW mini, fitted with dual controls. My name is Susan Dobson and I established Breeze in 2004. Since then I have gone on to help many people to become safe and confident drivers. I pride myself on being helpful and supportive in helping people reaching their goals. Whether you are looking to pass you driving test or just need to build up your confidence again, I know I will be able to help. Whilst striving to deliver the highest standard of tuition I aim to make it fun and as stress free as possible. I follow the DSA code of practice, which can be found at www.gov.uk/adi. If you’re looking to give lessons as a gift, Breeze has a range of packages to suit. I couldn’t have asked for a better driving instructor than Susan. I was very apprehensive about learning to drive again after previously learning 2 years ago, but she completely restored my confidence and I have so much trust in her. She had so much patience with me and she always helped to explain things in different ways, so that I would understand things easier. Not only is she a great instructor but she is also a great person. Without her patience and support I would not have believed in myself enough to go through with my test, but I did and I passed first time! I already miss my lessons and I Couldn’t have done it without her. I would definitely recommend her to anyone thinking about learning to drive! For someone that gets very nervous and embarrassed when learning anything new, learning to drive was going to be a huge challenge. Susan not only made me relax and had faith in me she was calm, patient and encouraging. I thoroughly enjoyed my lessons. Susan doesn’t teach to just pass a test she teaches you to drive. There was never a situation when she cancelled a lesson even teaching me how to drive in snow and ice! I am grateful for everything she taught me, all the little things that have made driving enjoyable and not a chore and am grateful she never gave up on me when I’m sure I would have. I would recommend Susan and Breeze Driving to everyone. I passed my driving test over 20 years ago but hadn’t driven for 19 years after a small bump. I wanted to get back into driving and decided to book a course of refresher lessons. Susan put me at ease straight away and had me driving at the first session. Every session was tailored to my needs, Susan gave me feedback and helped build up my confidence again. I picked up my own car after 2 sessions. In between driving my car I still had a few sessions so that we could work on any areas that I was worried about such as motorways and parking. The refresher package was great as not only did it help me get on the road again but I think I am a more confident and safe driver now. My time with Susan was fantastic; I looked forward to every lesson. She really encouraged and challenged my learning, whilst helping me in my journey to becoming a safe and competent driver. I will always recommend Breeze to new drivers as her expertise and patience is top class. I thoroughly enjoyed my driving lessons at Breeze driving school. Susan was very calm and patient which massively helped me feel more confident behind the wheel and made my time learning an absolute pleasure. Susan was an amazing teacher, she was so calm, relaxed and cool at all times and always put me at ease, making it so much easier to be calm behind the wheel! I would never have passed first time if it wasn’t for Susan, she made learning to drive really simple, with diagrams and animations to help with understanding everything fully. Could not recommend her more!! Still thankful I got the chance to learn with Breeze and become a better driver for it!! As a 50 plus person who hadn’t driven for 15 years I desperately needed some refresher lessons to get back on the road when my husband took ill. Susan was recommended by a friend at work who had taught her daughter. I was really nervous before my first lesson but Susan quickly put me at ease. She is a very patient and thorough teacher and helped me regain the confidence I’d lost. I would recommend anyone in the same position as me to give it a go! I strongly recommend Susan. She is very patient and doesn’t get frustrated if you struggle. I really felt that I had made a friend and could speak to her about anything. She makes you feel comfortable, takes away pressure of being a learner, takes your mind off stressing on the roads and feeling this boosted my confidence. Not being very confident to start with, Susan helped me overcome fears of being on the roads. Susan is a brilliant driving instructor, a very friendly woman with a positive outlook on your learning and progression and thrives on your success. Patient, confidence in the learner’s ability. Encourages enthusiasm to the learner, reliable and persistence in learning and encouraging driving requirements. 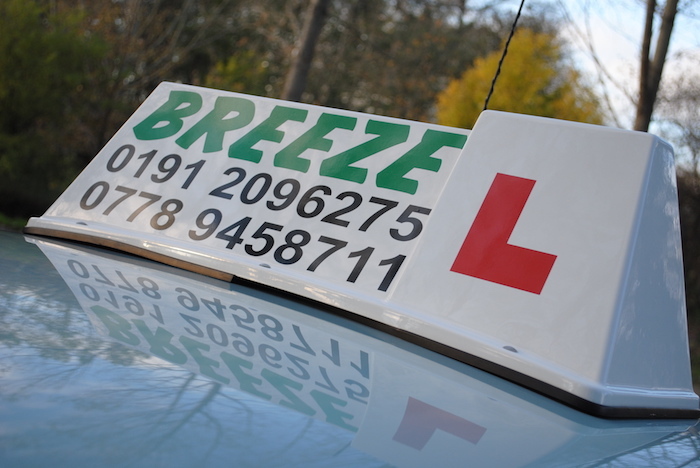 Breeze offers affordable driving lessons, great driving experience as you don’t just follow test routes, you travel all over Newcastle. Susan is a friendly, encouraging and patient instructor who helped me pass first time! 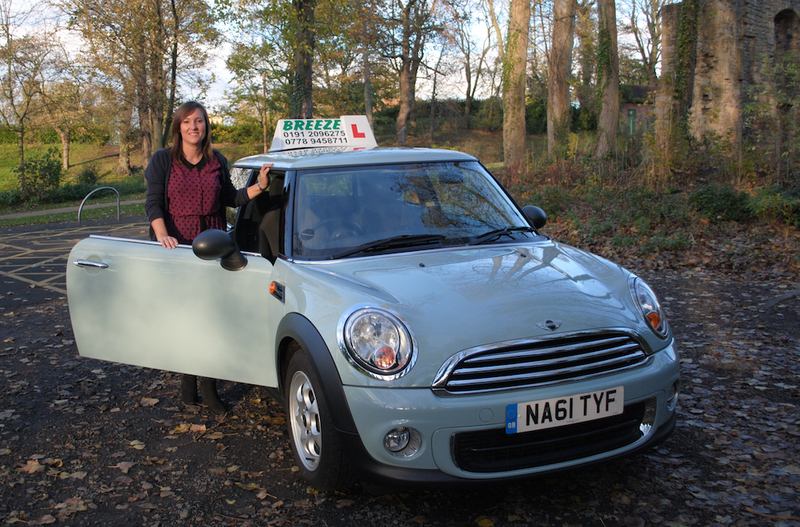 I really enjoyed my driving lessons with Breeze; they are great value for money! Susan is also a lovely genuine lady who is always happy and friendly, she is great with her learners keeping them motivated whilst learning, and she also manages her learner’s hours well fitting them in as best she can. I have and always will recommend learning to drive with Breeze! Anyone who wants to learn to drive by a patient, friendly & overall brilliant instructor Susan is the lady you need!! I first started lessons when I was 17 and after numerous instructors which I could not gel with, I gave up. Susan was recommended to me. She really is such a lovely lady, and after trying so many driving schools I would 100% say she’s the best by far. Thanks again Susan!! You are a great reference for me and I’m so proud of you, as you can see yourself how many people are contacting you on my behalf, because they are amazed how I can drive like someone who has 5 years experience. I’ve learned from you that I will never forget. Thank you for the really solid basic instructions that I’ve learned from you.